Thollander, Earl. Back Roads of California. Photo available. Menlo Park. Lane Magazine & Book Co. 1983. 208 pps. 4to. Soft cover. Reprint. Illustrated. Fine copy. Thollander, Earl. Back Roads of California. 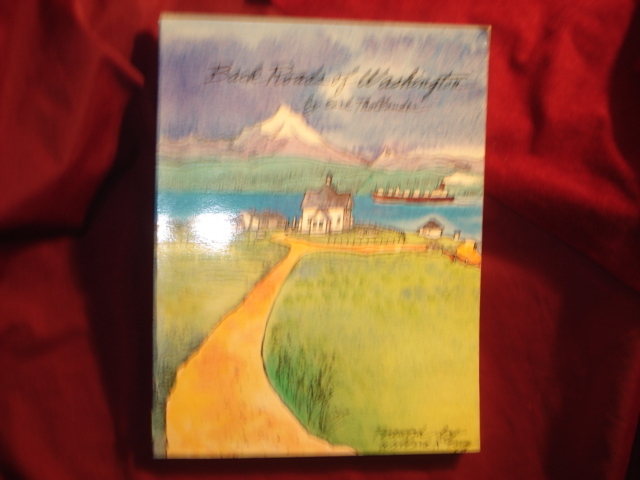 Boxed first edition. Menlo Park. Lane Magazine & Book Co. 1971. 208 pps. 4to. Hardcover. First edition. Illustrated in color and black & white. Fine copy in fine slip case. Thollander, Earl. Back Roads of Washington. Photo available. New York. Clarkson N. Potter. 1981. 200 pps. 4to. Soft cover. First edition. Illustrated in color and black & white. Fine copy. Thollander, Earl. 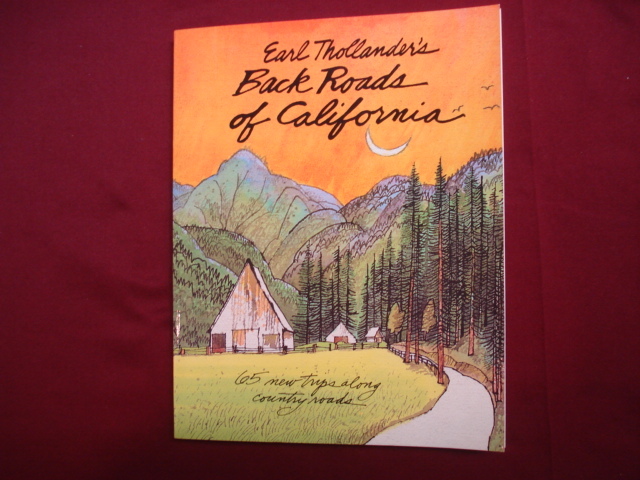 Earl Thollander's Back Roads of California. Photo available. New York. Clarkson N. Potter. 1983. 208 pps. 4to. Soft cover. First edition. Full number line. Illustrated. Important reference work. Fine copy. Thollander, Earl. 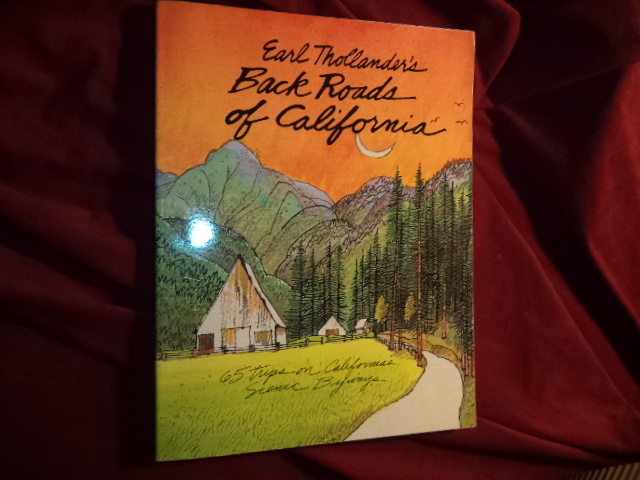 Earl Thollander's Back Roads of California. 65 Trips on California's Scenic Byways. Photo available. Seattle Sasquatch Books. 1994. 208 pps. 4to. Soft cover. Reprint. Illustrated. Fine copy. Thomas, David Hurst. Exploring Native North America. Places in Time. Oxford. Oxford University Press. 2000. 4to. Hard cover. Illustrated in black, white and color. Fine copy in fine dust jacket (in mylar). Thomas, David Hurst. Exploring Native North America. Places in Time. Photo available. Oxford. Oxford University Press. 2000. Octavo. Hard cover. First edition. Illustrated in black, white and color. Fine copy in fine dust jacket (in mylar). Thomas, David. The Native Americans. An Illustrated History. Atlanta. Turner Pub. 1993. 479 pps. 4to. Hardcover. First edition. Illustrated in color and black & white. Fine copy in near fine dust jacket (in mylar). Thomas, Edward Harper. Chinook: A History and Dictionary of the Northwest Coast Trade Jargon. Photo available. Portland. Metropolitan Press. 1935. 181 pps. Octavo. Decorated hard cover. First edition. Important reference work. Near fine copy (front, bottom corner worn owner name). Thomas, Elaine Dodson. 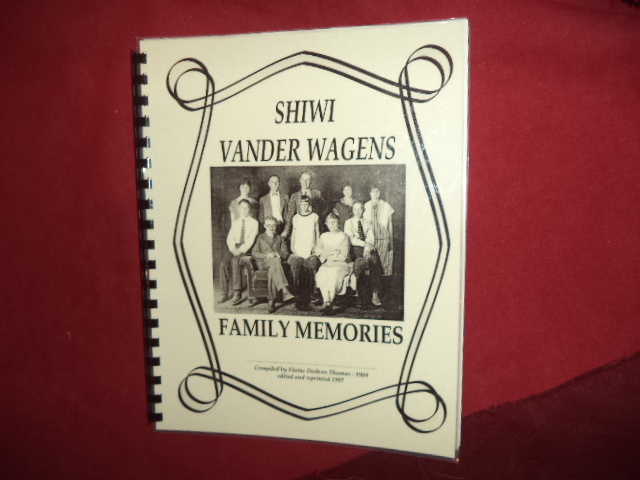 Shiwi Vander Wagens. Family Memories. Photo available. np. Self published. nd. 120 pps. 4to. Comb binding. First edition. Illustrated. Important reference work. Fine copy. Thomas, Gordon. 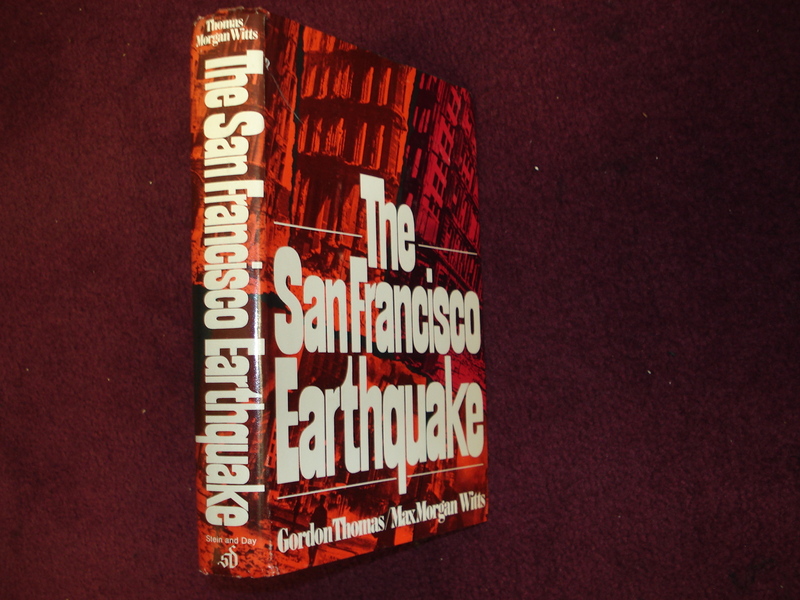 The San Francisco Earthquake. New York. Stein and Day. 1971. 316 pps. Octavo. Hardcover. Reprint. Illustrated. Fine copy in very good (light shelf wear) dust jacket (in mylar). Thomas, Gordon. The San Francisco Earthquake. New York. Stein and Day. 1975. 316 pps. Octavo. Hardcover. Reprint. Illustrated. Fine copy in near fine (very light shelf wear) dust jacket (in mylar). Thomas, Gordon. The San Francisco Earthquake. Photo available. New York. Stein and Day. 1971. 316 pps. Octavo. Hardcover. Reprint. Illustrated. Fine copy in fine dust jacket (in mylar). Thomas, Lately. Between Two Empires. The Life of California's First Senator. William McKendree Gwin. Boston. Houghton Mifflin & Company. 1969. 399 pps. Octavo. Hardcover. First edition. 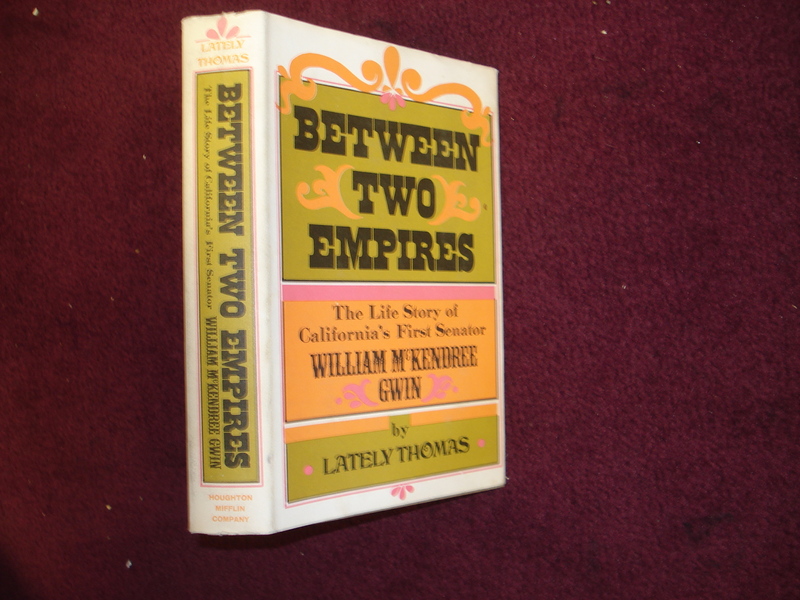 Fine copy in fine (light spine sunning) dust jacket (in mylar). Thomas, Lately. Between Two Empires. The Life of California's First Senator. William McKendree Gwin. Photo available. Boston. Houghton Mifflin & Company. 1969. 399 pps. Octavo. Hardcover. First edition. Fine copy in fine dust jacket (in mylar). Thomason, John W. Jeb Stuart. New York. Konecky & Konecky. Octavo. Hard cover. Reprint. Illustrated. Fine copy in fine dust jacket (in mylar). Thomason, John W. Jeb Stuart. New York. Mallard. 1992. Octavo. Hard cover. Reprint. Illustrated. Fine copy in fine dust jacket (in mylar). Thompson & West. Official and Historical Atlas Map of Alameda County, California. Compiled, Drawn and Published From Personal Examinations and Surveys. County History. Photo available. Fresno. Valley Publishers. 1976. 178 pps. 4to. Gilt decorated hard cover. Reprint. Lithographic reproductions, maps and statistics. Important reference work. Near fine copy (very light shelf wear). Thompson, Ben W. (ed) & Jerry Lee Young. Who's Who in Indian Relics. No. 7. Inscribed by the Jerry Young. Photo available. Kirkwood. Self published. 1988. 371 pps. 4to. Gilt decorated hard cover. First edition. Illustrated in black, white and color. Important reference work. Lengthy inscription by Jerry Young to Bob and Glenda Gully... Fine copy. Thompson, Ben W. (ed). 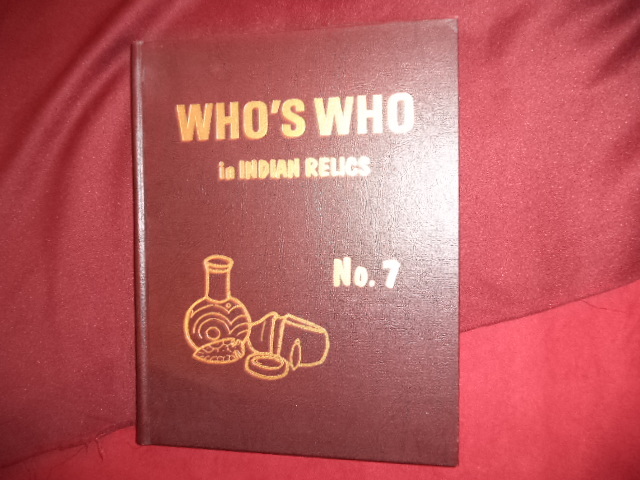 Who's Who in Indian Relics. No. 7. An Historical Record of Prominent Collectors. Photo available. Kirkwood. The Messenger Printing Co. 1988. 371 pps. 4to. Gilt decorated hard cover. Stated first edition. Illustrated in black, white and color. Important reference work. Fine copy. Thompson, Gerald. The Army and the Navajo. The Bosque Redondo Reservation Experiment. 1863-1868. Photo available. Tucson. University of Arizona Press. 1982. 196 pps. Octavo. Soft cover. Second edition. Illustrated. Important reference work. Fine copy. Thomson, Barry. The Enchanted Light. Images of the Grand Canyon. Flagstaff. Museum of Northern Arizona. 1979. 74 pps. Octavo. Pictorial soft cover. First edition. Fine copy. 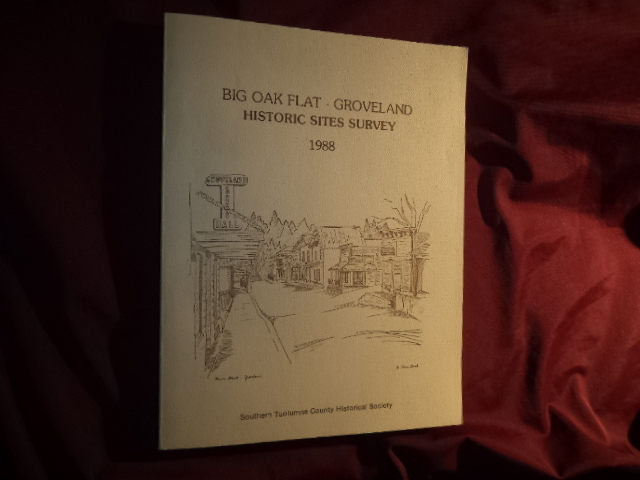 Thornton, Mark V. Big Oak Flat - Groveland. Inscribed by the author. Historic Sites Survey. Photo available. Big Oak Flat. Southern Tuolumne County Historical Society. 1998. 271 pps. 4to. Hardcover. First edition. Illustrated. Important reference work. Inscribed by the author "For Elizabeth Correa Best Wishes Mark V. Thornton 1-14-1987". Fine copy. Thornton, Russell. The Cherokees. A Population History. Lincoln. University of Nebraska. 1990. Octavo. Soft cover. Reprint. Illustrated. Fine copy.